I got gazillion amounts of photos of my past travels to post but since I just got back from Chengdu, I shall ride on my enthusiasm and embark on this. Definitely with intention to complete all 7 days. Yes sire. It was a tiring flight to Chengdu. 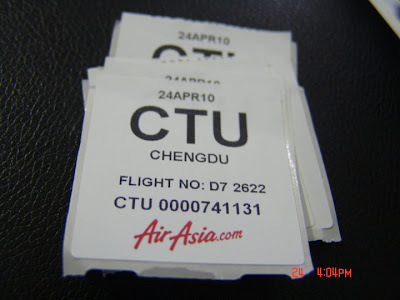 I took Air Asia X from LCCT (Kuala Lumpur) and flew to Chengdu. Someone told me before. Never take budget on a China flight. It was obviously well meaning advice that came too late. 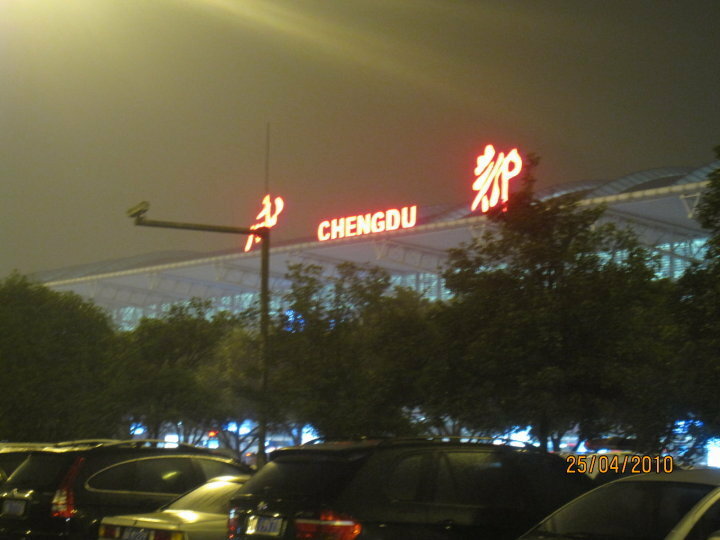 See, if you haven’t been on a flight full of China people before, especially to a small city like Chengdu, you have much to goggle over. Here are some things that made my flight to Chengdu extremely unpleasant. 1) China couple took our seat. Great. My sis and I wanted to sit together. Jason was assigned a seat beside ours as well. We want to sit together. We want we want! LOL. So much to our dismay, there was this couple in our seat who refused to get up. The air stewardess could not speak Mandarin at all. Don’t ask me why they put her on a China flight but she was very unprofessional to the couple. She told me to tell them that if they don’t move, she will call “POLIS”. I tried, really tried, to listen to what the seemingly agitated man wanted and then I gave up and asked my sis if he is even speaking Mandarin. LOL. Jason came to our rescue. Long story short, I still don’t know what was their problem but they got up and we sat down. Thank god. 2) Seats are 100m apart from each other; hence the need to shout. No really, do you have to shout? In my ear? I thought cannot bring your own food and drinks up the plane? Well, not that I have never done so but this, this scene was atrocious! They had everything in their bags! Dried stuff, crackers, pineapple tarts… and the list goes on. The stewardesses closed both eyes for sure. And I didn’t see no tissue being used to wipe soiled hands! I dare not imagine where they wipe their hands after eating. 4) The plane lands and everyone STANDS! Needless to say, the stewardess had a hard time getting them to sit down during landing and during taxi. She again, threatened these china passengers by saying “POLIS” in Bahasa. Ya like they would understand. So pointless! Why Airasia let non-mandarin speaking crew fly the KL-Chengdu route? It was late when we landed in Chengdu but first things first, we went DIRECTLY to MA LA HOTPOT. Omg, yumness to the max. More photos of Day 2 of Chengdu Holiday coming up! Stay tuned! Next Post Is this a sign of growing up? wahhh! 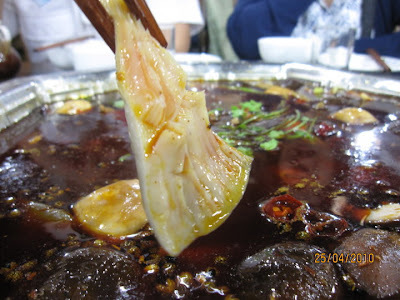 I miss the hotpot! The 1st day was the best! 3 thumbs up!